My boys are still young right now. Still, I know my oldest (6), is very impressionable. When I fast forward to the future, I can not help but worry some. This is especially true when I think about having my boys out driving and being pressured by their peers to drink alcohol. The reality is that I need to start talking with my elementary age son about these items soon. I want to be the person he trusts and is able to have open communication with. I do not want either of my boys to learn information from a friend that is incorrect. When I was teaching, one of the subjects that I taught was middle school Health. As we got the students ready for high school we often talked about peer pressure, the dangers of drugs and alcohol. To assist me, I often went to get resources from MADD (Mothers Against Drunk Driving). 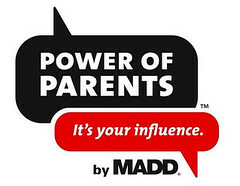 On October 27, 2009, MADD launched their new website The Power of Parents: It’s Your Influence. This website has been designed to help provide parents with key tips, information, and tools to help us at home. Right now, there are a lot of great resources for parents of high school aged children. Coming soon, they will be adding more information for elementary, middle school and college parents. I know that I look forward to seeing what they have to offer for my children in the near future. I hope that you will join in and support MADD in their crusade to save more lives each year. MADD also has a wealth of information on the MADD Blog, along with their presence on Twitter and Facebook. Disclosure: I wrote this review while participating in a blog campaign by Mom Central on behalf of MADD. A donation was made to MADD in my name to thank me for taking the time to participate. I think this is a wonderful resource for parents. I remember when they came to our schools growing up. I believe they make a difference.